It's been almost two years since something beautiful and magical happened during Nintendo's E3 press conference in June 2011 - the company opened the presentation with a spectacular orchestra, displaying tunes from The Legend of Zelda's impressive musical catalogue. 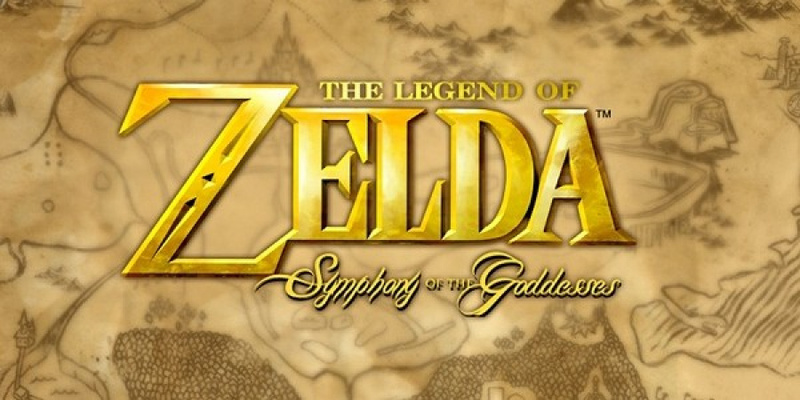 The Legend Of Zelda: Symphony Of The Goddesses - under Irish conductor, Eimear Noone - will return to Los Angeles on the 12th June, and the show will take place at The Greek Theatre. Concert goers will be treated to new surprises and old favourites, and it will even feature newly approved material from The Legend of Zelda franchise. Tickets for the event will go on sale this Saturday from The Greek Theatre's official website, as well as Ticketmaster outlets. Will any of our US readers wake up early Saturday morning to try and secure a ticket? Let us know in the comments section below. As always, it's in Los Angeles. Nope, I won't be going. Yay Irish! Yay Zelda! I think Zelda is gonna blow up E3 this year! If they're just doing this because of WW:HD, does that mean when every major Zelda game gets released, there will be a symphony? That could be cool. Does this mean I can have a 3DS Zelda at E3? Has the symphony ever been to Washington DC? i went to the one in philly and it was something i will never forget in my life !!! once in a lifetime experience! if you have a chance to go to this GO!!! This is a must-go event. I went to see it in Toronto and it was the best concert I've ever been to. Damn, I hate it here! I went to the one in Chicago back in October (and it was three days before my birthday), and it was an amazing experience! The gameplay on the screen was cool, the music was outstanding, and I managed to get front row seats! Plus, I got over 100 StreetPasses. I'm not going to fly to LA just to see this again, but if you have never seen The Symphony of the Goddesses before, then I highly reccomend taking the trip! I saw this orgastra in Pittsburg and it was fantastic. If you are a big Zelda fan, you really need to check this out. I drove like 4 hours to see it and don't regret it. This is probably a good sign that they may have something to do with revealing a new Zelda too. Just a thought. @ocarinadude14 Probably the one there releasing for the Wii U! They're going to need a lot more than these guys to save them at E3. If Nintendo provide anything less than a mindblowing conference this year... they've had it, frankly. "and it will even feature newly approved material from The Legend of Zelda franchise"
As in TOTALLY NEW MUSIC, FROM THE UPCOMING WII U GAME?! Maybe they do show the upcoming Wii u Zelda at this years E3, though very unlikely! Or maybe they announce that Windwaker HD will have orchestrated music, who knows!